That’s the blog-related question I’m asked most often. I’ve been thinking for a while now that I’m not blogging as much, so I’m not educating people as much as I could and should be. That bums me out. 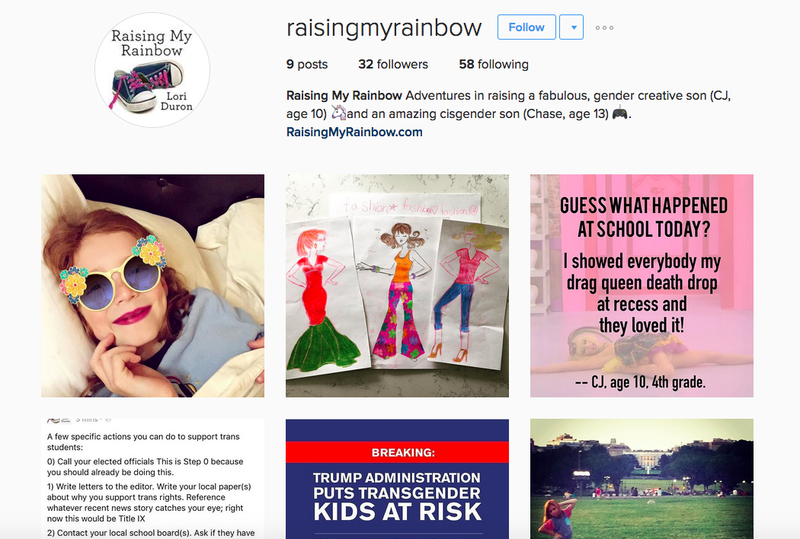 So, I very quietly started a public Instagram account (@RaisingMyRainbow) to see if it felt like a good (read: easy) way to share a little more of our journey. Then I read this in an email from Gender Spectrum regarding the Trump administration’s recension of important support for transgender students. I’m following Gender Spectrum’s orders and asking all of you to follow me on Instagram, share my posts and tag people when the mood strikes. I envision still writing a few blog posts a month. Sharing news and things I find important on Facebook and Twitter. And, chronicling our daily lives and thoughts on Instagram. Let’s see how that plan works. I’m open to comments, thoughts, suggestions, etc. Do you want me to share the same exact thing across all three social media platforms? Do you want me to compile Instagram posts and share them on my blog, Facebook and Twitter routinely? I just don’t want you to get sick of me. 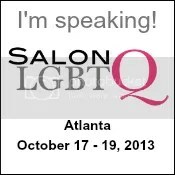 Leave a comment below or shoot me an email (raisingmyrainbow@gmail.com) with your thoughts. 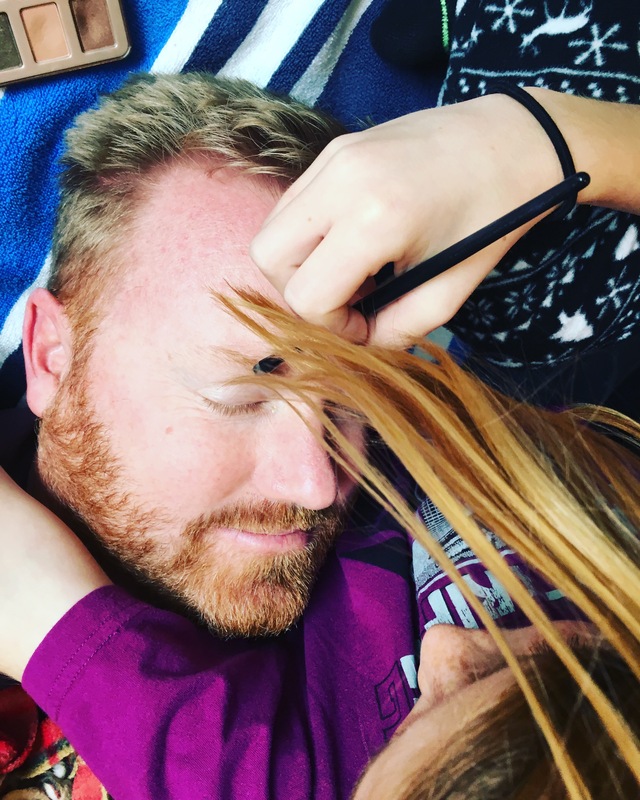 This entry was posted in All Posts and tagged gender creative, gender nonconforming, Gender Spectrum, Instagram, LGBTQ, parenting. Bookmark the permalink. I find it so hard to post on my blog. It usually takes hours and it’s so rare I can find those hours. But I’m constantly finding things I want to highlight, so I started a Facebook and an Instagram account under my blog name to share that. It enables me to keep my personal accounts private, but spread information on trans and autism issues. I’m following you now on both, and will continue to read your blog. I won’t get sick of you any time soon! 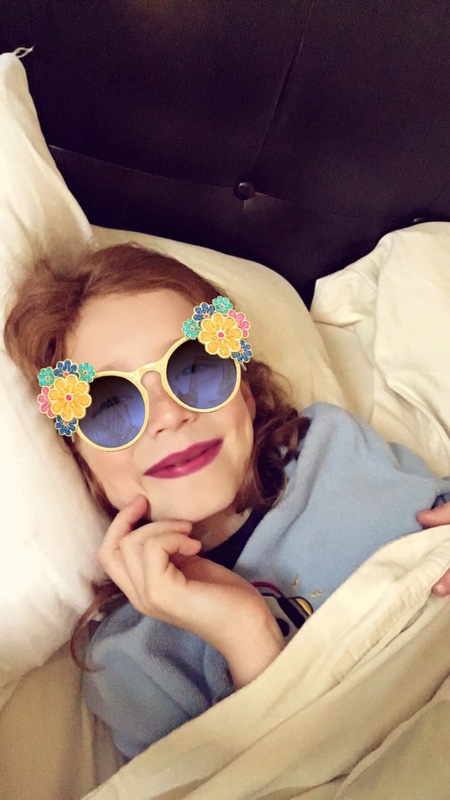 I followed you on Instagram but not knowing exactly how it works, I think it would be great if you would gather a few messages and put them on a blog. Just read a great memoir by a transman, Ivan Coyote, Tomboy Survival Guide. I highly recommend it to you and your readers. And you can pin your Instagram pictures to your blog page too. I found it, umm, somewhere in the settings (and will probably never find it again LOL). Anything is welcome because this is an important topic that needs to be heard, seen and posted. All the best! Following! I love your and CJ’s story! I am taking my own journey and your blog and now Instagram and near and dear to my heart! Now following you on Instagram! Before I created my own Instagram account, I didn’t see the benefit of something like this. Now I peruse through Instagram on a daily basis. Thank you for sharing your experience with us! I always follow your blog and love every post. I just got instragram so I can follow you there. I rarely look at Twitter, but knowing you’re on it, I might do so a little more now. Love your blog. I follow your blog and your Twitter, so if you link to Instagram or do compilation posts that wouldn’t feel redundant to me and would be appreciated! I’m probably not going to get an Instagram, but if you have unique content there maybe I would. Keep going, keep sharing and being an inspiration to both non traditional and traditional gendered families. 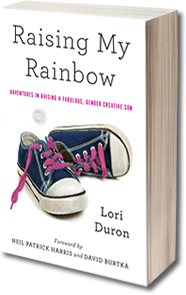 Lori, now more than ever we need your voice raising awareness of differently gendered lives. Under the Trump/ Republican administration we will gave to fight harder than ever. I am a lesbian and I have no intention of going back in the closet. I will continue to fight for the rights of everyone.keep up the good work. Never – ever…we will never get sick of you or your blog or your Twitts or IG. I believe you need to do what you feel like doing and your followers will see what we prefer. So don’t give it a second thought and :”Follow your heart as you have always done” . I look forward to seeing whatever photos you post. The more each of us does to raise awareness, the better. You are doing wonderful things. You have no idea how many lives you have already impacted. Thanks for all you do! Please keep writing the blog. I do not have an Instagram account and I prefer reading your blog. Your (and your family’s) candour in your blog posts has brought much happiness as well as tears to me and I thank you and your family from the bottom of my heart for sharing your lives with the world. Lori, I think you should do whatever you feels is right. I think you are amazing. The growth in a lot of ways you, Matt, Chase and CJ too have been to do. I’m impressed. I posted this last, but the overall trans community is small. And I do believe there has to be some integration with mainstream. Which is why I posted its the actions that need to be critiqued vs the individual who has done nothing. I truly believe that. And I think the president, no matter how you think of him is trying to do just that. And no. States rights is not a code for suppression. It is you in orange County. Or Los Angeles. Or California. Or the US. We’ve all got to figure out how to get along. But it affects us all. I’m individualist. A libertarian. But I also understand the majority. As long as they are reasonably educated. I won’t stand for uneducated stupidity. I fight this almost everyday on the web. Your auto supporters may criticize me for not being left enough for them. So be it. I’m a conservative, and a libertarian to boot. What freedom I have. I wish for CJ and Chase to express however they want. All the time. I will stand for that 100% But when The majority has concern I must also listen to that. It’s fair. You know, as a man, I wear toenail polish. Wow. What a world shattering event. Against the stereotype of a conservative. Whatever. But the point is I don’t show it in front of family that doesn’t at all accept it, my wife’s family. Because I love my wife. It’s her family. I will not put her in that position of choosing for no reason at all. It’s my happiness. Not hers. I will not deny my happiness. Nor will I acquiesce to ignorance. But I will not put my loved ones in the middle of it for no real good reason. That’s just plain ego. I think that a piss poor reason. In general. I think you should be who you are. Always. But as an adult it’s a hard one. You have a mortgage. You have a secondary family. But I give you great kudos to keep your primary, secondary and at least tertiary family cohesive. That says alot.